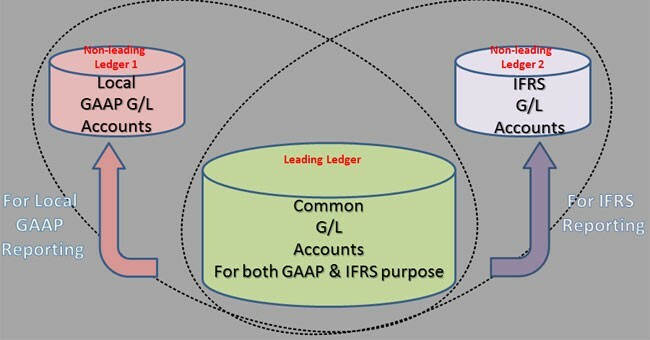 New General Ledger has all functions of the Classic General Ledger but has been enhanced with special ledger functions to create greater flexibility. The non-leading ledgers are used as parallel ledger together with the leading ledger. This can be used to apply different accounting standards, such as IAS/IFRS or US-GAAP. You can define additional currencies that deviate from those used by the leading ledger. The currency of the leading ledger is always used as the first currency. You can define a fiscal year variant that differs from the leading ledger. If you don’t specify a FYV, the FYV of the company code is automatically used. Thanks a lot sir, for your kind explanation and valuable information. In the case where the leading ledger and all but one of the non leading ledgers use the same twelve month Fiscal Year Variant, we have one non leading ledger that uses the 366 period Fiscal Year Variant. Any thoughts on how to keep the FI doc numbering consistent across both of these the Fiscal Year Variants would be greatly approciated. Mr. Singh, please, do you know about the sizing impact of an additional ledger? Does it requires any additional CPU (SAPS) and memory or just additional disk space (storage)? What about the metrics (for example, 2-5% of additional CPU and memory and the double of storage space for FIN-BAC documents)?